Lithonia Lighting ZL1N Series LED Striplight features code gauge cold-rolled steel construction. This LED striplight employs 134-Watt LED lamp that delivers light of brightness 14000 Lumens. LED Lamp has color rendering index of 80 and color temperature of 4000K. It has voltage rating of 120 - 277 Volt. Striplight measures 96-Inch x 2-1/8-Inch x 2-1/8-Inch. It features standard diffuse snap ON/snap off lens to eliminate pixels, improve uniformity and minimize glare. Striplight is ideal for uplight and downlight in commercial, retail, manufacturing, warehouse, cove and display applications. 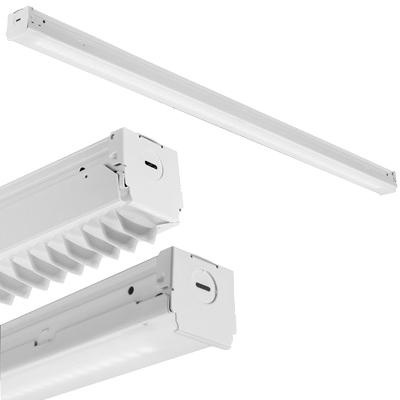 It withstands temperature rating of 4 to 86 deg F. LED Striplight is DLC listed and CSA certified.